Professor Karen Healy's research focuses on promoting a healthy start to life for vulnerable children, young people and families. In 2016, she was appointed a member of the Order of Australia (AM) for her contribution to social work particularly in child protection, higher education and research. In September 2018, she was awarded the position of Principal Fellow of the Higher Education Academy. c) and professional education and organisation support systems for promoting job satisfaction, workforce retention and best practice among health and welfare professionals. Karen Healy holds senior advisory positions in industry and in her professional community. Professor Karen Healy is the immediate past National President of the Australian Association of Social Workers (the national accrediting body for professional social work in Australia), a position to which she was elected between 2011-2017. She is also a National Director for The Benevolent Society, Australia's oldest not-for-profit community service organisations. Professor Healy is also Past National President for the Australian Association of Social Work and Welfare Education (a position she was held for the maximum two terms allowable). Professor Healy has strong links with the health and community services organisations, including having conducted several studies in collaboration with Micah Projects into best practice in family support work. 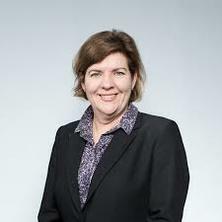 She has appeared as an expert witness at a variety of commissions of inquiry into child welfare service systems and workforce conditions in the community services sector and she was recently involved in an evaluation of the child protection operating model in Victoria - an innovative model of workforce support for frontline child protection workers. Professor Healy has published 5 books on aspects of social work theory and practice. These works have been translated into several languages including Chinese, Spanish, Korean, Danish and Japanese. In addition, Professor Healy has published numerous international journal articles on social policy and social work practice especially in relaiton to vulnerable children, young people and families, and on education and organisational support systems to promote best practice among health and welfare professionals. Healy, Karen The Skilled Communicator in Social Work. London United Kingdom: Palgrave Macmillan, 2018. Healy, Karen (2018). Will she be right, mate? Standards and diversity in Australian social work. In Transnational Social Work: Opportunities and Challenges of a Global Profession (pp. 205-221) Bristol, United Kingdom: Policy Press. Challenging cultural competence: adopting cultural humility as the foundational approach when working with newly settled refugee communities. Healy, Karen Social Work Theories in Context: Creating Frameworks for Practice 2nd ed. Basingstoke, United Kingdom: Palgrave Macmillan, 2014. Healy, Karen Social work methods and skills : the essential foundations of practice. Basingstoke , United Kingdom: Palgrave Macmillan, 2012. Healy, Karen and Mulholland, Joan Writing skills for social workers 2nd ed. London, United Kingdom: Sage Publications, 2012. Harrison, Gai, Healy, K., Walsh, D., Bosly, F. and Caniglia, F. Practice methods in context for social work and the human services [kit]. [St. Lucia, Qld. ]: School of Social Work and Human Services, University of Queensland, 2010. Healy, Karen, Rawsthorne, Margot, Donnett, Amanda, Caniglia, Fiona, Hampshire, Anne and Michaux, Anne Families on the fringe : Promoting the social inclusion of young families moving to non-metropolitan areas. St Lucia, QLD, Australia: School of Social Work and Human Services, The University of Queensland, 2009. Healy, Karen, Hampshire, Anne, Ayres, Liz, Ellwood, Sophie and Mengede, Natalie Creating better communities: A study of social capital creation in four communities. Paddington, Australia: The Benevolent Society, 2007. Healy, Karen and Mulholland, Joan Writing Skills for Social Workers. London, UK: Sage Publications Ltd, 2007. Healy, K. E. Social Work Theories in Context: Creating Frameworks for Practice. Basingstoke, England: Palgrave, 2005. Healy, Karen, Julkunen, Ilse and Karvinen-Niinikoski, Synnove (2014). International comparative research regarding vulnerable young people: reflections on methodological challenges and solutions. In Sven Hessle (Ed. ), Human rights and social equality: challenges for social work: social work-social development (pp. 114-117) Farnham, Surrey, United Kingdom: Ashgate Publishing. Healy, Karen (2014). Social sustainability and social work: problems and prospects. In Sven Hessle (Ed. ), Global Social Transformation and Social Action: The Role of Social Workers (pp. 161-164) Surrey, United Kingdom: Ashgate Publishing. Meagher, Gabrielle, Cortis, Natasha and Healy, Karen (2009). Strategic challenges in child welfare services: A comparative study of Australia, England and Sweden. In Social Policy Review 21: Analysis and Debate in Social Policy, 2009 (pp. 215-242) : Policy Press. Meagher, Gabrielle, Cortis, Natasha and Healy, Karen (2009). Strategic challenges in child welfare services: A comparative study of Australia, England and Sweden. In Kirstein Rummery, Ian Greener and Chris Holden (Ed. ), Social policy review 21: Analysis and debate in social policy, 2009 (pp. 215-239) Bristol, United Kingdom: The Policy Press. Connolly, Marie and Healy, Karen E. (2008). Social Work Practice Theories Frameworks. In Marie Connolly and Louise Harms (Ed. ), Social work: Contexts and practice 2nd ed ed. (pp. 37-52) South Melbourne, Vic., Australia: Oxford University Press. Healy, K E (2006). Asset based community development. In A. O'Hara and Z. Weber (Ed. ), Working with Individuals, Communities, and Organisations (pp. 247-258) Melbourne: Oxford University Press. Healy, K E (2006). Community education. In A. O'Hara and Z. Weber (Ed. ), Working with Individuals, Communities, and Organisations (pp. 259-266) Melbourne: Oxford University Press. Ife, J., Healy, K. E., Spratt, T. and Solomon, B. (2005). Under Reconstruction: Renewing Critical Social Work Practices. In S. Hick, J. Fook and R. Pozzuto (Ed. ), Social Work: A Critical Turn (pp. 219-230) Toronto, Canada: Thompson Educational Publishing. Healy, K. E., O'Regan, M. and Tansky, M. (2005). Working with young people. In M. Alston and J. Mckinnon (Ed. ), Social Work: Fields of Practice 2 ed. (pp. 95-104) Oxford: Oxford University Press. Healy, K. E. and Meagher, G. (2004). The Reprofessionalization of Social Work: Collaborative Approaches for Achieving Professional Recognition. In Linda Davies and Peter Leonard (Ed. ), Social Work in a Corporate Era First ed. (pp. 91-107) UK: Ashgate Publishing Ltd.
Rosenman, L., O'Connor, I. and Healy, K. (1998). Social Work. In Challenges for Social Sciences in Australia (pp. 215-221) Canberra, A.C.T. : Australian Govt. Pub. Services. After the biomedical technology revolution: where to now for a bio-psycho-social approach to social work? Parents’ perceptions of their participation in mandated family group meetings. A comparison of out-of-home care for children and young people in Australia and Sweden: worlds apart? Healy, Karen (2009) Critical questions about the quest for clarity in child protection regimes. Communities, Children and Families Australia, 4 1: 50-56. Humphreys, Cathy, Harries, Maria, Healy, Karen, Lonne, Bob, Mendes, Philip, McHugh, Marilyn and Sheehan, Rosemary (2009) Shifting the child protection juggernaut to earlier intervention. Children Australia, 34 3: 5-8. Healy, Karen, Lyons-Crew, Cate, Michaux, Annette and Gal, Inbal (2008) Change in volunteering roles: Managing change to build capacity. Australian Journal of Volunteering, 13 1: 5-16. Young families migrating to non-metropolitan areas: Are they at increased risk of social exclusion? Hcllgrimsdottir, Eric, Healy, Karen and Foulds, Henrietta (2004) Child protection practice with families affected by parental substance use. Children Australia, 29 3: 11-15. Healy, Karen (2004) Social Workers in the new human service marketplace: Trends, challenges and responses. Australian Social Work, 57 2: 103-114. Social enterprise: is it the business of social work? Social capital: a useful concept for social work? Managing Human Services in a Market Environment: What Role for Social Workers? Healy, K. E. and Darlington, Y. M. (1999) Family support and social inclusion: Practice and policy issues in Australia. Just Policy, 16 September: 3-10. Venables, Jemma, Healy, Karen and Harrison, Gai (2013). From investigation to collaboration: practitioner perspectives on the transition phase of parental agreements. In: Australasian Conference on Child Abuse and Neglect, Melbourne / Melbourne Convention Centre, (). 10 - 13 November 2013. Healy, K. (2004). Creating community capacity in urban and rural communities. In: ACOSS Papers. Proceedings of: ACOSS 2003 Congress: Piecing It Together: Equity, Empowerment and Change. Selected papers from the ACOSS Congress 13-14 November 2003 Canberra. ACOSS 2003 Congress. Piecing It Together: Equity, Empowerment and Change, Canberra, Australia, (34-39). 13-14 November 2003. O'Connor, I., Healy, K. and Rosenman, L. S. (1999). Social work research in Australia. In: Decha Sungkawan, Enhancing social integration: structure, process and intervention for social development. 1997 Asia and Pacific Regional Conference of APASWE and IFSWc, Bangkok, Thailand, (226-235). 1997. Redress for the Forgotten Australians. Assessing the Royal Commission into Institutional Responses to Child Sexual Abuse in Institutional Care. Life satisfaction in young immigrants and Australian young people: Change with socioeconomic status and time. Finding a Voice: The Fee-for-Service Social Work Experience: Insights from Practitioners. `I wouldn't want my kids around him' : How men who use violence in their intimate relationships perceive themselves as fathers.